Units of the Indian Army and the Indo-Tibetan Border Police Force (ITBP) have reported Unidentified Flying Objects (UFOS) in the Ladakh region of Jammu and Kashmir. An ITBP unit based in Thakung, close to the Pangong Tso Lake, reported over 100 sightings of luminous objects between August 1 and October 15 this year. In reports sent to their Delhi headquarters in September, and to the Prime Minister’s Office (PMO), they described sighting “Unidentified Luminous Objects” at day and by night. The yellowish spheres appear to lift off from the horizon on the Chinese side and slowly traverse the sky for three to five hours before disappearing. These were not unmanned aerial vehicles (UAVS), drones or even low earth-orbiting satellites, say Army officials who have studied the hazy photographs taken by ITBP. Drone sightings are verified and logged separately. 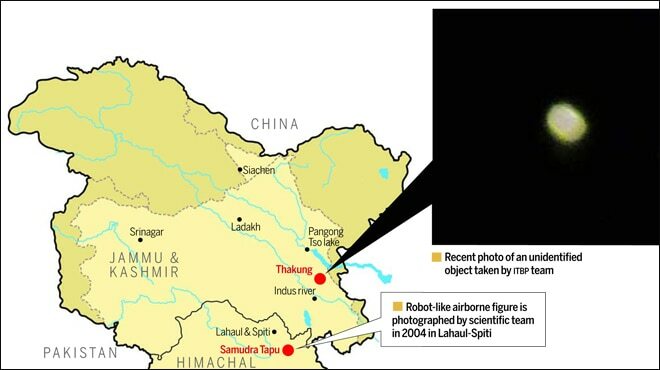 The Army has reported 99 sightings of Chinese drones between January and August this year: 62 sightings were reported in the western sector, the Ladakh region, and 37 in the eastern sector in Arunachal Pradesh. Three of these drones intruded into territory claimed by India along the 365-km-long border with China in Ladakh, manned by ITBP. Such mysterious lights have been sighted before in Ladakh, a barren, 86,000 sq km heavily militarised zone wedged between Pakistan-occupied-Kashmir and Chinese-occupied Aksai Chin. The persistent sightings by the ITBP this year, however, worried the Army’s Leh-based 14 Corps. The ITBP, did not respond to a detailed India Today questionnaire. In September, the Army moved a mobile ground-based radar unit and a spectrum analyser-that picks up frequencies emitted from any object-to a mountaintop near the 160-km-long, ribbon-shaped Pangong Lake that lies between India and China. The radar could not detect the object that was being tracked visually, in dicating it was non-metallic. The spectrum analyser could not detect any signals being emitted from them. The Army also flew a reconnaissance drone in the direction of the floating object, but it proved a futile exercise. The drone reached its maximum altitude but lost sight of the floating object. In late September this year, a team of astronomers from the Indian Astronomical Observatory at Hanle, 150 km south of the lake, studied the airborne phenomena for three days. The team spotted the flying objects, Army officials say, but could not conclusively establish what they were. They did, however, say that the objects were “non celestial” and ruled out meteors and planets. Scientists however say, the harsh geography and sparse demography of the great Himalayan range that separates Kashmir Valley from Ladakh, lends itself to unusual sightings. “The region is snowbound in winter, has few roads and is one of the most isolated places in India,” says Sunil Dhar, a geologist at the government Post Graduate College in Dharamshala, who has studied glaciers in the region for 15 years. Yet, none of the experts from the National Technical Research Organisation (NTRO)-in charge of technical intelligence-and Defence Research Development Organisation (DRDO), has been able to identify the objects. This has caused embarrassment rather than fear in the establishment. “Something is clearly wrong, if our combined scientific resources can’t explain the phenomena,” says a senior Army official in Delhi. Intelligence officials say these objects could be a crude psychological operation by China, or sophisticated probes attempting to ascertain India’s defences in Ladakh. “We can’t ignore these sightings. 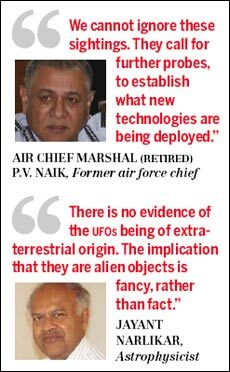 We need to probe what new technology might have been deployed there, says former Indian Air Force (IAF) chief Air Chief Marshal (retired) P.V. Naik. In 2010, the IAF probed and dismissed Army sightings of such luminous objects as Chinese lanterns. UFO sightings have been endemic to Ladakh over the past decade. In late 2003, 14 Corps sent a detailed report on sightings of luminous objects to Army headquarters. Army troops on posts along Siachen had seen floating lights on the Chinese side. But reporting such phenomena risks inviting ridicule. When told about them at a northern command presentation in Leh, the then army chief, General N.C. Vij, had angrily dismissed the reports as hallucinations. Scientists say the mysterious objects are not necessarily from outer space. There is no evidence of UFOS being of extra-terrestrial origin, says reputed Pune-based astrophysicist Jayant Narlikar. The implication of them being alien objects is fancy, not fact, he says. 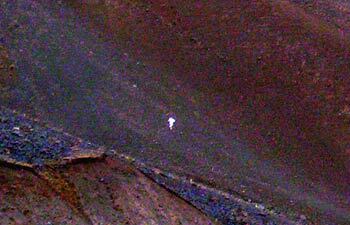 There is still no explanation, however, for what is believed to be the clearest UFO sighting yet, in the Lahaul-Spiti region of Himachal Pradesh less than 100 km south of Ladakh in 2004. A five-member group of geologists and glaciologists led by Dr Anil Kulkarni of the ISRO’s Space Applications Centre in Ahmedabad were on a research trip through the barren Samudra Tapu Valley. They filmed a fourfoot tall robot-like figure, that walked along the valley, 50 m away from them. The humanoid object then rapidly became airborne and disappeared. The encounter lasted 40 minutes. It was seen by 14 persons including the six scientists. Kulkarni then interviewed each expedition member separately to verify what the team had seen. Copies of his detailed report were circulated to the PMO, ISRO, the Army and several intelligence agencies. Kulkarni established his team hadn’t seen natural phenomenon. The matter, however, was buried soon after. Sunil Dhar, who was part of the 2004 expedition, terms the sighting of the unidentified object an unforgettable experience. Locals, he says, have reported sighting mysterious objects for many years. These are unsolved mysteries that need more intensive study, he says. Left unexplained, the Ladakh sightings risk slipping into the crack between fact and science fiction. Mysterious UFOs have returned to a remote region on the Tibetan border, according to sightings by Indian troops stationed in the area. The UFOs, which have been reported for years, are said to have included a strange “robot like” figure seen by Indian scientists in 2004 walking along a mountain valley – which then “rapidly became airborne” and flew away. 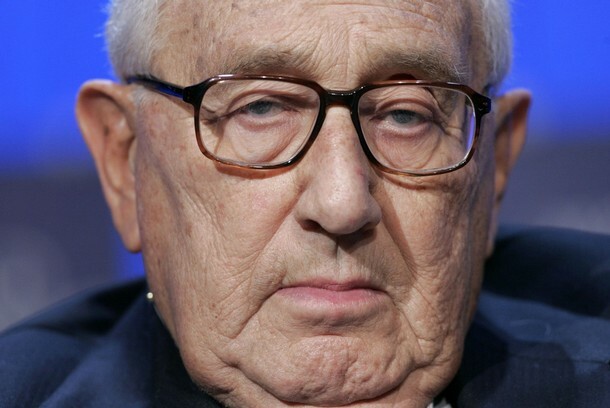 – Henry Kissinger speaking at Evian, France, May 21, 1992 Bilderberg meeting. Unbeknownst to Kissinger, his speech was taped by a Swiss delegate to the meeting. CNN Hype Alien Invasion As Tool To Improve The Economy – And Admit It Would Fake!!! Sweetman believes that – along with strict secrecy – “black propaganda” helps to keep Area 51’s secrets. No one on the ground or in Pakistan’s air defence spotted Area 51’s latest toy as it kept watch on Osama bin Laden’s compound in Abbottabad, Pakistan, on the night of the US raid that killed the Taliban leader. Rather than one of the UFOs that the wilder fringes of the internet believe the military has stashed away at America’s top-secret military site in Nevada, this “toy” was actually the latest Star Wars-type drone, or unmanned aerial vehicle (UAV), developed at the base whose existence Uncle Sam only barely admits. Named the “Beast of Kandahar” after it was snapped at Kandahar air base in Afghanistan back in 2009, this stealthy grey batwing-shaped long-distance reconnaissance drone, officially known as the RQ-170 Sentinel, was a throwback to Area 51’s golden age before the advent of the spy satellite put the spy plane out of business. 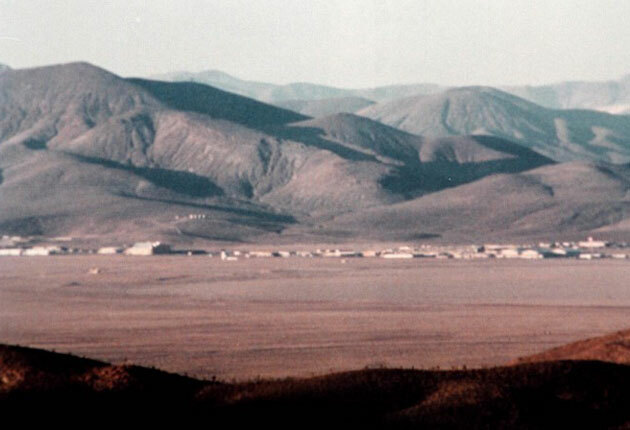 While for the post-X-Files generation Area 51 will always be associated with conspiracy theories from aliens to time machines, for journalists such as Annie Jacobsen its purpose was – and, indeed, is – to develop and test the latest kit from the military industrial complex that helps to maintain America’s superpower status. “Area 51 was the single most important Cold War facility as it was set up to push science faster and further than the Soviet Union,” says Jacobsen, author of Area 51: An Uncensored History. “On one side of the road the Nevada test site was preparing for the Third World War, and on the Area 51 side they were trying to prevent it by developing air-surveillance technology. Yet for Jacobsen one of the strangest things about Area 51 is that even in the age of WikiLeaks and Google Earth, she has “not seen anything ever leak out of Area 51”, almost as if “the base is in a permanent state of lockdown”. Sitting on the edge of a dried-up lake bed cradled by mountains, only 90 miles or so from the fantasy world of downtown Las Vegas, it is perhaps not surprising that it is hard to separate the myth from the fact of Area 51, or Groom Lake, as old-timers have traditionally called it. Even “Area 51” sounds like an exercise in branding, as do its other names of Dreamland, Paradise Ranch or Homey Airport. And there is something sinisterly not-quite-real about the “use of deadly force authorised” signs that stand guard on the base’s perimeter. Which can be found just inside the 4,687 square miles of the Nevada Test and Training Range and right next to the 1,350 square miles of the Nevada Test Site, where hundreds of nuclear weapons were exploded above and below ground until the test ban treaties of 1963 and 1996. However, recent declassified documents have helped to shed light on the facts behind the myths of Area 51, from the U-2 spy plane missions that helped to unlock the secrets of the Soviet Union in the 1950s to the groundbreaking stealthy A12 that was obsolete before it even first served its country, and the record-breakingly fast recon plane the SR-71 Blackbird, which helped to spot North Vietnamese missile bases in the late 1960s and 1970s; and from the beginnings of stealth technology to the development of the F-117 stealth fighter itself, which was one of the few allied aircraft able to penetrate the air defences around downtown Baghdad and then bomb accurately. Also brought to light was the test flying of “acquired” Soviet MIG fighters in mock combat situations, which led to the founding of the Top Gun pilot programme made famous by the 1980s film of the same name. already passed the base it also allows for the capacity to “go underground” to avoid prying eyes. Yet for Annie Jacobsen it is the “need to know” principles of the special-access “black” programmes that run out of the base that account for the cloak of secrecy that has been maintained even in the age satellite photography. These principles were developed from the “mother of all black projects”, the Manhattan Project, which saw the creation of the world’s first nuclear bomb during the Second World War. And sometimes, like in a blockbuster movie, even the President doesn’t need to know. According to Jacobsen, during the 1994 enquiry into allegations of human radiation experiments during the Cold War, “certain records involving programmes at Area 51 were kept from President Clinton because he didn’t have a need to know”. For ex-Area 51 radar man Thornton D Barnes, founder of the Area 51 veterans’ association Roadrunners Internationale, the need to know meant that “everything was compartmentalised”, with only a small number of highly screened workers allowed to remain permanently on the base. Everyone else had to fly in from Vegas to “prevent fresh faces showing up in the local communities and drawing attention to something that might be going on”. “We were often away from our families Monday through Thursday and we couldn’t tell them where we were or what we did. According to Bill Sweetman, editor-in-chief of defence technology for Aviation Week, simply “pulling out the plug” and “supergluing USB ports” has also helped to keep these black programmes disconnected from our interconnected world. So successful are the secrecy techniques that it’s clear that we are going to see more – not fewer – of these black programmes. However, Sweetman believes that – along with strict secrecy – “black propaganda” helps to keep Area 51’s secrets. The goal, he believes, was originally to mask the rebuilding of the base and then to stop people “asking why is there this huge secret and expensive military base in the middle of the desert”. Annie Jacobsen has real fears about the “lack of respect for the constitution” that this level of secrecy can entail. The construction in 2007 of a new hangar twice the size of any other at Area 51 and another large hangar in 2010 meant that something was going on – but the public doesn’t have a need to know. It is possible to look at the Beast of Kandahar for clues as to what the new project might be, or even at the stealthy Special Forces Black Hawk helicopters that were also revealed or even compromised by the Bin Laden raid. The size of the hangars suggests that it could be early prototypes of the $4bn next-generation American bomber programme that are already being put through their paces down on Groom Lake. Whatever it is, the Beast of Kandahar is only the shape of things to come. As a result he believes Britain has cultivated a special relationship with the Americans in stealth technology. In the late eighties it became public knowledge the “RAF had an exchange programme with Area 51 that involved a small number of RAF pilots training on the F117 Stealth fighter. Then in the Nineties there were rumours of a joint US and UK stealth programme out at Groom Lake”. While those stories have trailed away Bill Sweetman believes that this special relationship has carried as he has only recently heard fresh rumours of a “black exchange programme” for RAF pilots out at Area 51. What would have happened if the Nazis escaped to the Moon after World War II? 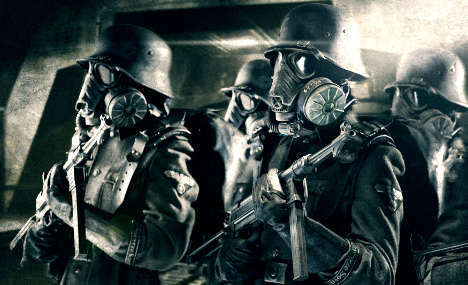 The space fascists thrive and one day return to attack Earth, according to a fan-backed “science fiction black comedy” film set for release in 2012. “It combines the satire of Dr. Strangelove with the massive scale of Independence Day,” Finnish producer Tero Kaukomaa told The Local recently. Filming for the independent production of “Iron Sky” wrapped early this month. Now Kaukomaa is in Berlin promoting it to potential buyers at the European Film Market event – the industry exhibition organised in tandem with the Berlin International Film Festival each year. “I’m very happy with the responses so far,” the 50-year-old founder of Blind Spot Productions said. Naturally the idea came up in a sauna, “as we Finns like to do,” Kaukomaa said. There they build a lunar Germania and prepare to return to earth in 2018 and take over the world for a second time after landing in New York. Perhaps more inventive than the plot in the Finnish-German-Australian co-production is the collaboration between the film’s producers and the online community. With a budget of just €6.8 million, “Iron Sky” makers have turned to fans for funding and help creating parts of the film. As for funding, fans of the film can start with donations as low as €1 for a chance to see a “sneak peek” of the film, buy merchandise, or invest in the film starting at €1,000. If all goes according to plan, €1 million of the film’s budget will ultimately come from crowdfunding. The first film to pioneer this approach was the 2009 British film, “The Age of Stupid,” but it seems to be catching on, Kaukomaa said. “It’s going to happen more and more,” he said. Crop circles in Indonesia have some locals fearing an alien invasion. The design, measuring nearly 230 feet in diameter and consisting of several circles and triangles, was discovered in a rice field in Sleman, Yogyakarta, earlier this week. 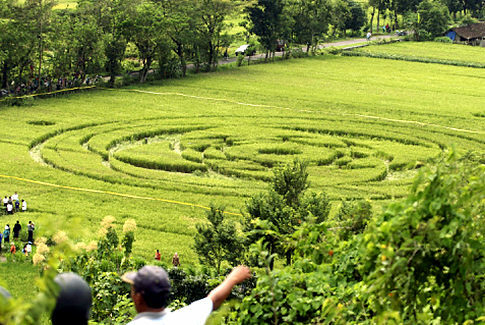 It is believed to be the first time a crop circle has appeared in the Asian country. Explanations have ranged from it being the work of extraterrestrials, to the sign of a higher being. Whatever the cause, the mysterious circles have now appeared in at least 30 countries, according to crop circle expert Freddy Silva. The author of “Secrets in the Field,” he has been researching crop circles for more than two decades, and said there are always tale-tell signs if one is for real, or just a joke. However, hoax crop circles have grown more and more common in the past two decades. A dedicated group could conceivably create a manmade crop circle in a short period of time, Silva admitted. Some have paid off farmers and picked isolated locations in order to make their creations. “In two or three days, a group of 14 people who have been doing this for years [could] create a coherent design,” he said, but felt that it would likely be harder in a wet rice field. “It would be more difficult to hoax something in a rice field, because there’s so much mud,” Silva said. The Indonesia crop circles may prove to be just another of those hoaxes. The Jakarta Post reports Yogyakarta’s Gadjah Mada University investigators are looking into claims that a group of local college kids may have been behind the elaborate design. 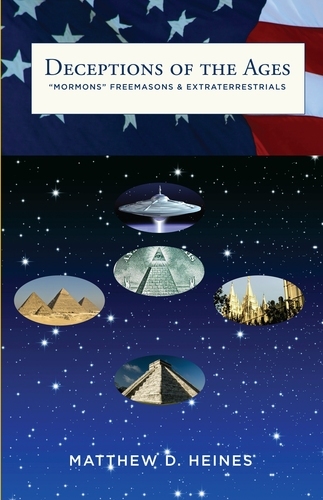 What do Mormons, Freemasons and aliens have in common? “There is a connection among those three things,” Heines insisted, promising readers that the text is neither fictional nor a conspiracy theory. The book, Heines assured, isn’t an anti-Mormon or anti-Freemason text. It’s simply about history, covering a span of about 5,000 years and focusing on factual and objective insights into some of the biggest deceptions of our time. Using historical texts and holy writings from Socrates, Stephen Hawking, Moses, Max Planck, saints and satanists, “Deceptions of the Ages” discusses the conflict between science and religion and truth and secrecy in what Heines describes as an “interesting and humorous way.” The 700-page book uncovers relationships between the Society of Freemasons, the Church of Jesus Christ of Latter-day Saints and the extraterrestrial phenomenon while also discussing modern-day issues such as the rise of modern banking, war and technology. “In the Information Age, it seems that correct information is harder than ever to come by,” Heines said. After graduation, Heines taught in Wasilla, Alaska; Seattle and the Kingdom of Saudi Arabia. Following Sept. 11, 2001, Heines accepted a job in the Sultanate of Oman and has written two accounts of his experiences in the heart of Arabia during the early years of the war on terrorism. “My Year in Oman,” “Another Year in Oman,” and “Deceptions of the Ages” are all available for sale via Amazon.com or through the official website of Matthew D. Heines. At the persistence of his wife, Sangeeta, Heines is taking a break from teaching and focusing all of his energy on writing. The couple lives in the Sultanate of Oman but spend their summers in Sequim, where they rent a cabin overlooking the Strait of Juan de Fuca. “We love living here (in the Sultanate of Oman) and will probably stay for a few more years,” Heines predicted, describing the area as very different from how it’s portrayed on television. Ultimately, the couple would like to retire to Sequim, Heines said, but that won’t be for a while. In the meantime, Heines is working from sun up until sun down marketing “Deceptions of the Ages” and is in discussion with the History Channel regarding a show about UFOs. For more information, excerpts and photographs, go online to www.heinessight.com.